After a very long time, I went jogging Friday after work, I must say, pretty cool self-support, I like how I felt in my body, bit more Here-ness as I run, and rest. Physical activities are hard to come by for me, as I spend most of my time sitting in front of a computer, I was into biking last summer, haven’t got into it this time around, so jogging is a good alternative, I intend to continue this, and the weather is nice also, so why not. When I run, I find my mind stops, there are moments of total non-thinking, so that’s cool. The physical body is under torture almost always by the mind, so moments where I am totally in the body are cool, giving a break to the mind and to the body. Living in the body is a great responsibility, as it resonantly assist the physical existence also, meaning just like how my body is under continuous torture by my mind, this physical existence is under torture as well by the collective-minds (unified consciousness field), so as one stops his/her mind, it assist the greater. For more clarity on that point, please check out this world war interview by Anu. You may be just an insignificant human in the grand scheme of things, but you stopping your mind and being in your body can assist to prevent the arising of world wars. 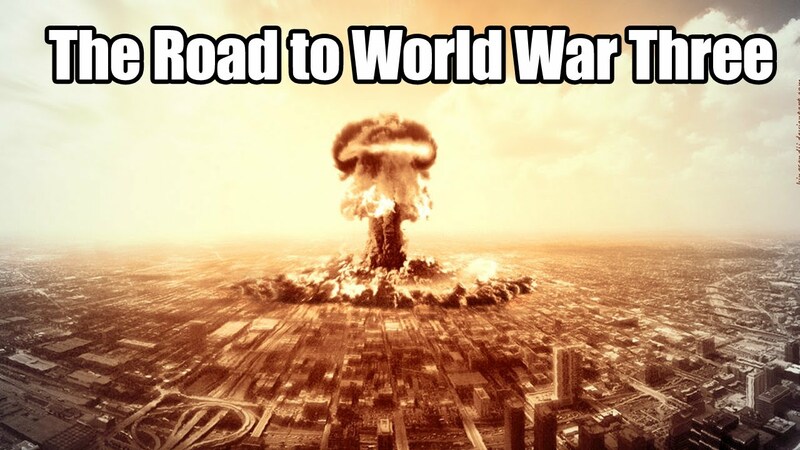 Hard to say anything about World War 3 as such, because the ‘damage is done’ already so to speak, so as manifested consequence another world war MAY arrive at our doorsteps. Our minds together created it, as a releasing point, the war may manifest, because we have been pounding the physical/our bodies over time, moment by moment with all that thinking in our heads. War is a consequential outflow of human thinking over time, put it another way, it’s a reflection of what you do unto your body. When the physical says: “I can’t take it anymore”, diseases or war will be at our doorsteps. However not all is gloom or doom, we can correct ourselves and prevent yet another war, call it, World War 4 from occurring, it is certainly within our means, as far as WW3 is concerned, it’s anybody’s guess now, because it has been already fucked-up. It may not happen too, considering all the process work that has been going on for the last 10 years in this existence and here on this earth. I mean, it is not an act of mercy, it is the dedication to life by number of beings in this existence may potentially save us from WW3, but no guarantee, because reversing manifested consequence is not as easy as it sounds. Time will tell, so far we are holding the court well only bunch of regional wars going on, nothing major is on the horizons. So stop the war within your body, that will stop the future wars within this world. The beast is rising up, it had enough of abuse, that’s why you see so much conflict everywhere, “father against son, daughter against mother, nation against nation”, it’s the outburst of manifested consequence. Thoughts/emotions and feelings are the building blocks of such manifested consequence. So listen to that interview and please stop your mind from torturing your body. I forgive myself that I have accepted and allowed myself to not see/realize I am a contributor to the world wars by creating wars within my body through emotions/feelings and automated thinking. I forgive myself that I have accepted and allowed myself to not see/realize as I harm my body through my mind, I am manifesting war like consequences for this physical existence along with other minds. I forgive myself that I have accepted and allowed myself to not see/realize ‘as within, so without’, meaning ‘war within equals war without’. I forgive myself that I have accepted and allowed myself to find it puzzling: “that one person like myself can contribute to a world war, how is this possible?” Physical is one, life is one, hurting one is hurting all, as I abuse myself with my mind, I am allowing such abuse on the whole physical. It’s common sense, so much torture has been going on within ourselves and what we do to the whole, the abuse, so there comes a point where the physical “can’t take it anymore”, “its too much”, and then bursting out, physical is resetting itself from the abuse imposed by our minds. Another way to look at this is: the principle of 1+1+1 till millions stand on a point. Consensus is given by and large silently, millions silently approve going to war, as anger, as rage, as wanting to be righteous, because that’s exactly what they do to their own bodies, therefore it is easier to do unto another, resulting in wars. When you stop the war within, with the 1+1+1 principle, it accumulates into a world where wars are unheard of. The physical doesn’t create wars, we do. So, cool to jog, be in the body, assisting myself to fully breathe, be here, not lost in the mind’s endless emotions/feelings and automated thinking. I am one vote for stopping all wars in this world, and I do so by stopping the war within myself. I direct myself to see/realize and understand, every-time I am lost in my mind, I am contributing to a World War down the road, the physical must release that imposed abuse. So join us, let’s prevent World War 4 for sure. Previous Postday 585: past friendsNext PostDay 587: Buddhist Racist Rage against Muslims in Sri-Lanka.